InterMestic Initiatives (IMI) is one of the oldest programs at WCVI. Launched in 1987 as the Latin America Project (LAP) and rechristened as IMI in 1997. IMI blends the terms International and Domestic to underscore the tendency for US Latinos to mobilize/activate only on international policies that resonate domestically. IMI's objective is to train large numbers of Latino elected and civic leaders in selected issues of US-Latin American relations thru travel seminars and exchanges, briefings, conferences, publications, policy advocacy, and survey/policy research. 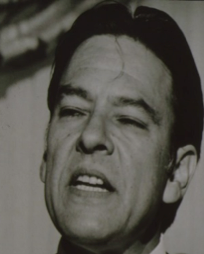 IMI was inspired by the short-lived 1981-85 League of United Latin American Citizens (LULAC) Latin America Project (LAP) of then President Mario Obledo (directed by Joe Trevino). LULAC shocked Latino politics by visiting Cuba's Fidel Castro and Nicaragua's Sandinista leader Daniel Ortega, as well as President Lopez Portillo of Mexico. However, Obledo's rivals inside LULAC smeared his Latin America and Caribbean activities as "unpatriotic" and elected a new President in 1985 who let the LAP wither away. Willie Velasquez who supported LULAC's effort to reconnect US Latinos to Latin America decided to follow Obledo's example by launching the Latin America Project in 1987 at SVRI (WCVI's name from 1985-97 -Southwest Voter Research Institute). He recruited then Director of the Mexican American Legislative Caucus (MALC) of the Texas House of Representatives Antonio Gonzalez to develop the program. Velasquez knew Gonzalez from 1984-86 when he worked for SVREP and SVRI and led a Central America solidarity group in San Antonio that Velasquez supported. 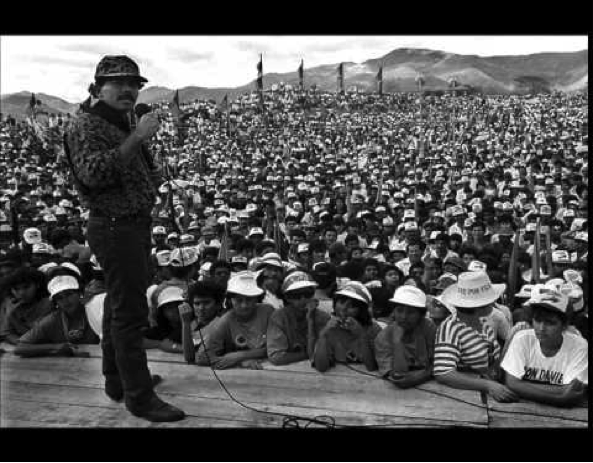 Velasquez had an interest in Latin America and had sent his longtime political ally Nacho Perez to Nicaragua in 1981 to learn about the Sandinista Revolution. He had also employed San Antonio activist Graciela Sanchez in 1983 to prepare briefing materials on Central America. Sanchez connected Velasquez with Policy Alternatives for Central America and the Caribbean (PACCA). During 1985-86 Velasquez met with Sandinista outreach personnel Roberto Vargas and Luis Mendez from Washington, DC during their Texas tours. Forming the LAP was controversial with opposition at SVREP (the parent organization of SVRI) from then Executive Director Richard Martinez who argued the traditional view that Mexican Americans shouldn't be involved in foreign policy. Deputy Director Andrew Hernandez supported Velasquez arguing that studying the Central America's revolutions was a way of imbuing progressive principals into a new generation of Latino leaders just as the civil rights and anti-Vietnam war movements did with Velasquez generation. Velasquez argued that SVRI had no choice given its mission to prepare Latino leaders to govern. He said "when we are elected to Governor, Congress, and the rest we don't just govern for the barrio. We must learn about broader issues and US policies in Central and South America are impacting our communities, districts and states. We have to prepare ourselves to use our increasing power."